A little while after building my arcade cabinet I got to hear about “Metal Slug”. This game is just all kinds of awesome. But it didn’t work with my advmame due to the ridiculous situation that MAME is in with different versions of emulators and ROMs and all sorts of crap. I’d pretty much given up on getting it to work when I thought I’d try one last time with RetroPie. After a bit of tinkering and working out which of the several supported emulators to try it in I got it working. I had to use the FBA emulator but it works perfectly. 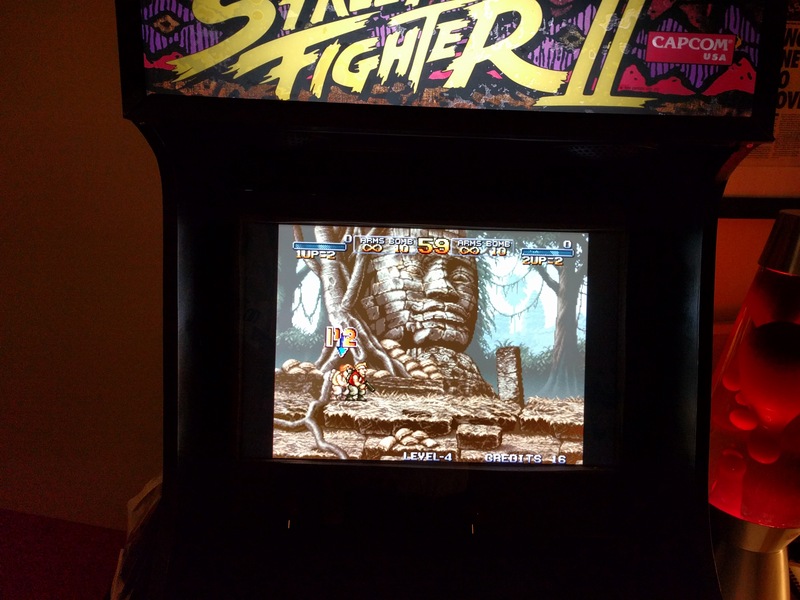 I’m now a happy happy man – especially since I have ROMs for Metal Slug2, Metal Slug3…..